With the growing popularity of community-based races, more people are running for fun than ever before. 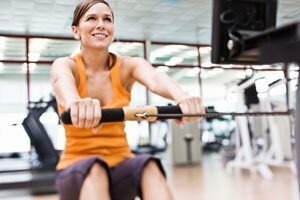 While running is associated with a wealth of health and wellness benefits, some athletes experience overuse injuries while running and training for races. One of these is exercise-related leg pain (ERLP), otherwise known as shin splints, with pain between the knee and ankle during or after exercise. In a recent study, researchers sought the prevalence of ERLP in adult runners and how the pain affected their running and daily activities. They also analyzed risk factors to determine who is most likely to have leg pain from running. Over 200 runners participated in the survey, 105 men and 120 women. ERLP was commonly reported, with more than 50% of the runners reporting at least one episode in the past year. 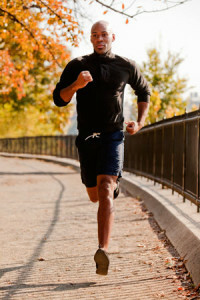 Of this group, about 40% said that the leg pain interfered with running. In determining the effect on everyday activities, it was discovered that less than 10% were negatively affected by their ERLP in tasks such as walking and stair climbing. In contrast with past research, this study did not find gender or BMI to be associated with a risk of developing ERLP. Instead, these findings confirmed that the most significant risk factor was previous leg injury or pain. In addition, participants who had less than three years experience running were at greater risk than more experienced runners, and those who ran fewer than 15 miles per week were more likely to suffer leg pain than those who ran more. Lastly, it was discovered that the occurrence of ERLP was greater among amateur runners who raced at a pace of 9 minutes per mile or greater, when compared to other participants. Chiropractic care has been shown to be a great option for athletes in both treating and preventing sports injuries and pain. One such study found that chiropractic treatments led to less muscle strains in the legs. Another study showed that chiropractic adjustments improved athletic performance among competitive athletes. 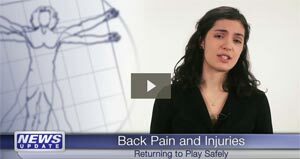 Research even suggests that chiropractic care is the best treatment option for athletes suffering from back pain. Reinking M, Austin T, Hayes A. A survey of exercise-related leg pain in community runners. International Journal of Sports Physical Therapy 2013; 8(3): 269-276. Written by: Kelly Johnson on July 3, 2013. Last revised by: Michael MeltonJuly 4, 2013. Are Stronger Teens At Risk of Back Pain?